On April 12th, 1912, the RMS Titanic struck an iceberg and sunk, taking with it more than two thirds of its passengers and crew. Among the survivors was the famed London-based designer Lady Lucille Duff Gordon (1863-1935), who figures prominently in this centennial historical novel. The title character of this novel, however, is the fictitious Tess, a youthful seamstress who shares Lifeboat No. 1, the infamous “Millionaires’ Boat,” with this imperious fashion house mogul. 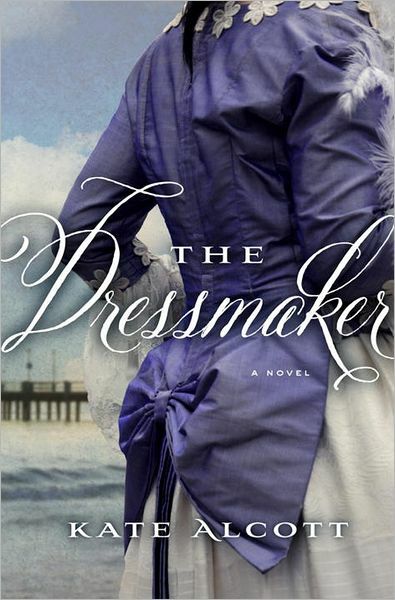 Tess’ shipboard encounters, some tragic and some not so, shape the dressmaker’s life and leave an indelible imprint on her subsequent story. WOW! This was a great historical story with twists and turns from a much different perspective. This book brings shines a light to the U.S. Senate hearings that asked questions that one hundred years later, we’re still wondering about. Another great read!